Thanks to a CS-SIS travel grant, I had the good fortune to attend the ABA TechShow 2019 in Chicago. If you, like me, are teaching a course in legal technology, this conference is a must. Part of receiving the travel grant was a request to write about the conference and my takeaways. First, I learned that it is very important to download the conference app. If you go to the ABA Techshow, you will not have time to go to everything you might want to see. The programs that I attended were excellent, but often choosing which one to go to was difficult. The conference app gives you access to program materials, and you can download the materials for those programs that you can’t attend. It’s not the same as actually attending the program, but at least you get some information about what it covered. As empirical legal scholarship continues to pick up steam, academic law librarians are increasingly called upon to support empirical research and provide data services. I’ve had the chance to do so in one of my first assignments as a new reference librarian, gathering and managing a dataset for one of our faculty who’s applying statistical methods to data collected from Congress.gov. As a new librarian with just enough tech know-how to be dangerous, working on this project has been a learning experience in several dimensions. I’m sharing some highlights here in the hope that others in the same position will glean something useful. Were you unable to make it to the Cool Tools session at the 2018 AALL Annual Meeting in Baltimore? The CS-SIS blog is posting video recaps of last year’s sessions so that everyone can get caught up on these new and exciting technologies. So far, we’ve posted Debbie Ginsberg’s blockchain video, as well as Kris Turner’s Coggle video. Up next: Mari Cheney, Assistant Director of Research and Instruction at Lewis & Clark Law School’s Boley Law Library, walks us through Monosnap, a free and easy-to-use screenshot and screencasting tool. With hotkeys that allow you to easily open the program, save screenshots, and record screencasts, Monosnap is a huge time saver, especially with the built-in editing tools. A great big congratulations is in order! As many of you may know, the CS-SIS Executive Board decided to off an additional grant to the assortment of grants and awards the SIS offers each year. Providing assistance for a member to attend the preeminent event focused on legal technology fits comfortably within the SIS’s mission. Thus, the CS-SIS ABA TECHSHOW Grant was born. Interest in the grant definitely exceeded our expectations, and competition was fierce. I regret that we are only able to make one award this year because all the applicants are doing exciting things and working on interesting technology focused projects. Nevertheless, a selection had to be made, and it is my great pleasure to announce that the inaugural recipient of the CS-SIS ABA TECHSHOW Grant is Monica Sharum. Monica is the Head of Library Technology and Instructional Support at the University of the Pacific, McGeorge School of Law. Monica [attended] the TECHSHOW with the goal of finding and sourcing material and support for a new class she will create and teach at McGeorge. Please join me in congratulating Monica. Note: Posted well-after the ABA TECHSHOW because the editor managed to bury it in her “to-do” list. But I did see Monica tearing up a storm at TECHSHOW so CS picked a great winner! You’ve seen the headlines and articles about Paul Manafort’s lawyers not properly redacting a court filing; how do you make sure this doesn’t happen to you? First, use Adobe Acrobat Pro. 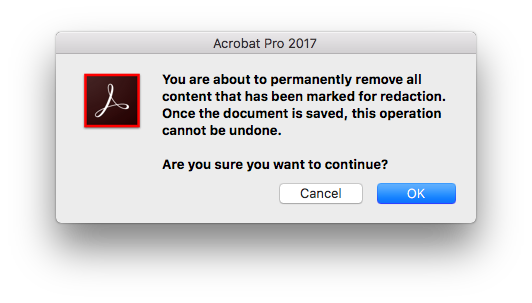 While there are a few other redaction tools out there, Acrobat Pro is the easiest to use and has extensive how-to guides. If you don’t have access to the full Acrobat Pro at work, consider using the free 7-day trial or pay for a monthly subscription for $14.99. 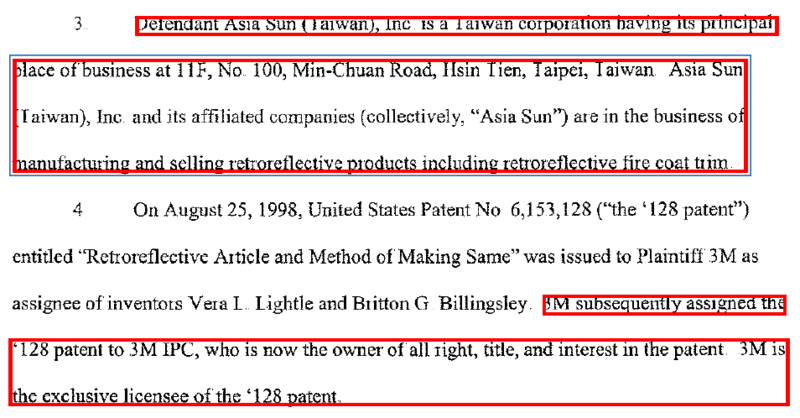 Second, follow these easy steps to redact the document. Step 1: Open the document you want to redact, then from the Tools menu, under Protect & Standardize, select Redact. Step 2: Under Mark for Redaction, you’ll see an option to select Text & Images, Pages, or use the search function to find the text you need to redact. Step 3: Select Text & Images; you’ll see a red box appear – use your cursor to select the text you want to redact, then select Apply. 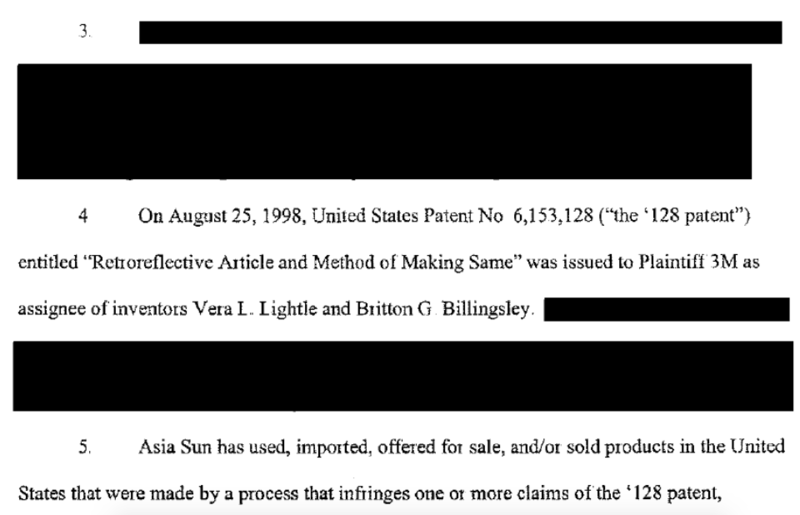 Step 4: You’ll see a warning that the redaction is permanent and cannot be undone. Select OK. 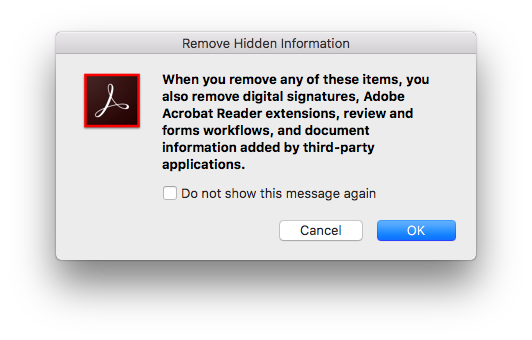 Step 5: The next box asks if you’d like to find and remove hidden information in your document. Select Yes. You will then be asked which elements you’d like to remove, such as metadata, links, and overlapping objects. There is an additional option to Sanitize Document. In addition to metadata, the Sanitize Document feature removes obscured text and images, comments hidden within the body of the PDF file, and more. If you select this option, you won’t have the ability to pick and choose what hidden data and metadata is removed from the document. If you want more control over what is removed and what is not, use the Remove Hidden Information option instead. The original version of this post appeared on the Boley Law Library blog. The purpose of the AALL CS-SIS Grant for Students and Newer Librarians is to provide financial assistance for newer librarians or students in library/information school or law school to attend the AALL annual meeting or a workshop offered at the annual meeting. Among the factors taken into consideration are qualities or activities that indicate the person shows promise of future involvement in the law library profession, especially those who are directly involved in providing technology support of any kind within law libraries. There is one grant in the amount of $700 available for students or newer librarians this year. The purpose of the AALL CS-SIS Grant for Experienced Librarians is to provide financial assistance to librarians who have a demonstrated commitment to the law library profession, especially those who are directly involved in providing technology support of any kind within law libraries. The $700 grant may be used to attend the 2019 AALL Annual Meeting & Conference in Washington, D.C., or registration fees for another educational event, such as a pre-conference workshop held in Washington, D.C. All funds are provided by the AALL CS-SIS. Successful CS-SIS Grant awardees are expected to write an article about some aspect of their experience attending the AALL Annual Meeting and Conference in Washington, D.C. The article may feature an in-depth review of one program attended or an overview of your whole conference experience, for example. To apply for a grant, fill out the requisite application (Newer Lib Grant Application 2019 or Experienced Lib Grant Application 2019) describing how you meet the criteria for the applicable grant, and send it to C.J. Pipins, Chair of the CS-SIS Grants and Awards Committee, at capipinsii@law.umaryland.edu. Applications are due via email by midnight on Wednesday, March 20, 2019. This is a call from the CS-SIS Grants and Awards Committee to submit your nominations for the Kenneth J. Hirsh Distinguished Service Award by March 15, 2019. 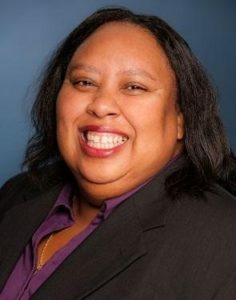 The Kenneth J. Hirsh Distinguished Service Award honors a CS-SIS member who has made outstanding contributions to the SIS, to AALL, and who is well regarded for their service to the profession. The inaugural award recipient was Ken Hirsh, in whose honor the award is named. To be eligible for the award, a nominee must be an active or retired member of the CS-SIS. Section officers are not eligible for this award during their term of office. For a list of past award recipients, please check the CS-SIS website. The CS-SIS Awards committee welcomes self-nominations, as well as nominations of your colleagues. To nominate yourself, or a colleague, send a nominating letter outlining how the nominee meets the criteria above to C.J. Pipins, Chair of the CS-SIS Grants and Awards Committee, at capipinsii@law.umaryland.edu. Nominations are due by March 15, 2019. The Computing-Services Special Interest Section is made up of awesome law librarians doing interesting things. The CS-SIS Member Spotlight is designed to shine light on our membership so that we can learn more about each other and stay connected. If you happened to meet Eli at the AALL meeting in Baltimore, you would have noticed that she has a wonderfully unique business card featuring Shuri from Black Panther. After getting to know Eli better, I’d argue that she is just as cool as tech-savvy Shuri, and we’re lucky to have her as one of our newest CS-SIS members. Eli has been working on and off in libraries since 1989. She worked at the downtown Los Angeles Public Library while studying political science at California State University. She later worked in technical services at Stanford, a kind institution who paid for her MLIS tuition at San Jose State University. While working on the Google book project at Stanford, Eli grew interested in legal issues, specifically intellectual property rights. This interest, with encouragement from mentor Mary Minow, took her to Santa Clara University School of Law where she earned her JD and formulated a lifelong mission to advocate for information access. Since then, Eli has gained a wealth of experience in firm (Foster Pepper PLLC), court (Ninth Circuit Court of Appeals), and vendor (Justia) settings which positioned her return to Santa Clara University School of Law to fill the role of Emerging Technologies Research Librarian. She is enjoying her new position very much, finding a balance between technology and teaching. She serves as a resource on legal technology, tapping her law firm experience in identifying lawyer needs. She just finished teaching her first class, Technology and Innovation in the Practice of Law, which she developed for her law school with the help of experts from AALL and CALI. Spring semester she’ll be team teaching advanced legal research for the first time. She beams with satisfaction when helping people find out of reach information and loves when students get that excited research glean in their eyes. Eli is happy to be part of AALL and CS-SIS and is looking forward to meeting, working, and connecting with other law librarians. She just got back from exploring the legal technology offerings at the AALS meeting, and she’ll be attending the ABA TECHSHOW and CALIcon in 2019. She’s volunteered to serve on the CS-SIS blog committee, and I look forward to reading about her discoveries. Of course, there is more to life than law librarianship. Eli volunteers at a radio station run by a junior college, training to be a DJ and help with the music library, and appreciates fun people who are passionate about music. She is also an avid sci-fi fan and is known to attend Steampunk conventions. Eli adores Shuri, who she uses as her own avatar, and respects Shuri as a thoughtful leader who does not shy away from technology. Thanks to Eli Edwards for her willingness to be interviewed for this CS-SIS member spotlight. If you are interested in interviewing and writing a blog post about a CS-SIS member, please contact Tawnya Plumb at tplumb@uwyo.edu. It is a great opportunity to learn about a fellow member. Were you unable to make it to the Cool Tools session at this past AALL Annual Meeting in Baltimore? The CS-SIS blog will be posting video recaps of last year’s sessions so that everyone can get caught up on these new and exciting technologies. This time, Debbie Ginsberg, Educational Technology Librarian at Chicago-Kent College of Law Library, walks us through the emerging field of blockchain. Debbie walks through the nuts and bolts of Blockchain, using live demos and a blockchain “sandbox” to illustrate many of the concepts and processes underlying the final result, and then shows off a graphical representation to help visualize these complex systems. Were you unable to make it to the Cool Tools session at this past AALL Annual Meeting in Baltimore? The CS-SIS blog will be posting video recaps of this year’s sessions so that everyone can get caught up on these new and exciting technologies. First up, Kris Turner, Assistant Director of Public Services at University of Wisconsin Law Library, talks about Coggle, a free tool for mind-mapping and project planning. Kris covers the features of the free (and paid) versions of this online tool, and gives a demonstration of Coggle in action.